You have decided to fulfill that lifelong dream of learning how to play the piano, and you’ve acknowledged that the best way to learn is by having a professional guide you on the journey. But what IS a piano lesson really? What can you expect from piano lessons? 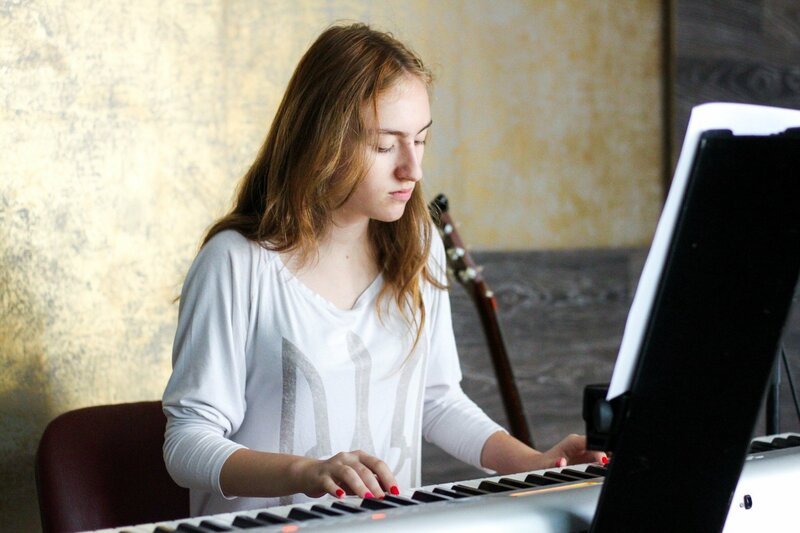 Unless you are a musician already (playing another instrument) you will need much more than ‘just’ piano lessons. To play the piano well, you need to develop your inner musician as much as your playing technique! So your lessons will incorporate more than just playing piano pieces. You will learn a variety of things. You’ll be singing* and reciting melodies, clapping rhythms and training your ears with various aural exercises. You will learn how to count correctly so you can keep a steady beat. You’ll be doing practical exercises to help engrain important theoretical concepts. You’ll also be given an understanding of Western music history and so much more! Your 60 minute lesson will contain piano playing as well as other musical challenges. *Note: sometimes adult students fear the prospect of having to use their voice. Often, many of them have been told so many times they have a ‘bad voice’ they have internalised that destructive criticism and are terrified to sing out loud. It makes them feel embarrassed. Know that I am aware of this and that I would NEVER force you to do something you’re uncomfortable with. As much as some other methods of learning claim to be customised or ‘at your own pace’, truly, the only way to get instruction tailored to your specific needs is to pay someone to create that path for you and you only. I create lessons plans and goal charts for all my students, and I do that based on regular feedback on their goals and aspirations. Not all students want the same thing. While most start out along similar paths, some will focus more heavily on classical repertoire while others veer off towards pop and improvisation. It’s all possible and it’s all a great journey to take. Every lesson, you will receive practice tasks: often this consists of pieces, songs or piano exercises to be practiced at home. You’ll be taught how to practice these pieces in the lesson. For beginners in particular, you’ll also have other exercises to work on such as theory exercises online or in a workbook. It is crucial you understand that taking music lessons comes with ‘homework’. You simply cannot progress if you do not practice and play at home regularly. By signing up for lessons, there will be an expectation of a regular commitment to building your skills. For beginners, 20 minutes 4 times a week will suffice. Learning an instrument is a lifelong passion! Ultimately, learning a musical instrument is a lifelong journey that’s never finished. Regular lessons, daily practice, it is not just part of becoming a musician, it is part of being a musician full stop! Does this thought make you happy and excited and full of energy to get started? Well, then you know you’re ready to embark on this amazing journey of learning to play piano. Why not get in touch and find out how we can help you to become a pianist?